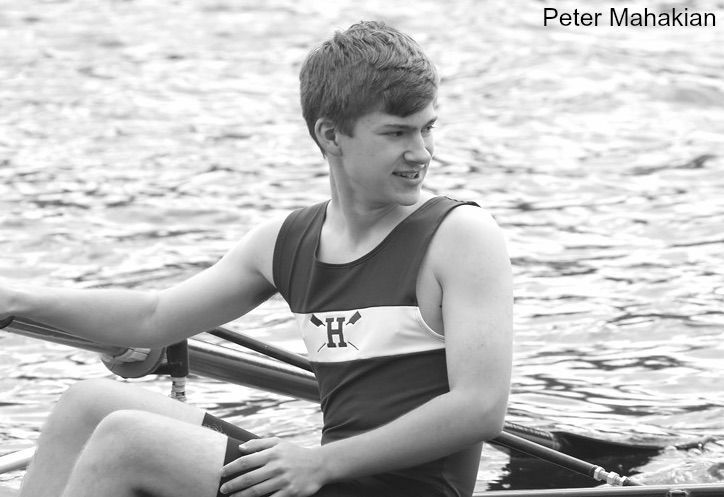 Along with using fountain pens, Hutchinson '21 also enjoys rowing on the Hopkins Crew Team. Writing is essential to our role as students, day in and day out. Whether we efficiently tap away on a keyboard, take the time to make deliberate letter strokes on paper, or jot down information instinctively we couldn’t do without it. Recording great quantities of content can be tiring, yet strangely enjoyable. I can’t be the only one who finds it satisfying to fill line after line of loose-leaf paper, then see the final product later on, right? Although, in special cases, the medium of our work may be important, Hopkins students generally have the freedom to take notes and fulfill assignments however we see fit. In my experience, fountain pens occupy the sweet spot of functionality/enjoyment. Completing math problems or homework sheets is a not particularly personal experience, but firsthand writing often becomes an afterthought in our busy lives. I can’t get away with slowing down from a rapid scrawl in every class, but when the opportunity arises, perfecting my work’s legibility becomes an inexplicably delightful task. As a fountain pen’s nib glides with little to no friction across the page, the lack of additional sensory input gives a sense of control. I no longer have a need to force my hand down with each stroke. Consequently, I’ve found “marathon” sessions of work to be less tiresome and hand cramps less abundant. Another inherent value of fountain pens is what they leave on paper itself: ink. I’m perfectly happy with generic blacks, blues, and reds plastering my papers, but these get repetitive fairly quickly. Certain diagrams can’t be accurately depicted with a mere handful of basic color choices. I’d much rather choose a vibrant orange for small yet important annotations, or a subtly tinted teal that catches the light oh so slightly. Fountain pens are refillable with virtually any ink color time and time again. Fountain pens have an economic advantage: filling your pens straight from an ink bottle pays off when compared to repeatedly purchasing disposable ballpoints or their cartridges. The initial investment for such nib-equipped pens is not always such a leap; the Platinum Preppy, starting at $3.00, is a marvelously engineered product that writes just as well as numerous, more costly alternatives. While there may be exorbitantly priced pens out there, I’d like to think that cost generally isn’t a restrictive factor. Just like any hobby, it’s easy to invest much from the start. Choosing and utilizing a pen of your own can be personal, and enjoyable by itself. Everyone has lost pens and pencils, making the commitment (as some may call it) to keep track of a slightly more precious object important. This natural attachment to objects is human nature, yet writing utensils are often overlooked. Without a lack of choice in shape, size, color, line-width, or functionality, it becomes unexpectedly easy to make a pen your own. As well as fountain pens potentially providing a positive personal experience, the online and real-world fountain pen community fosters a positive environment that’s welcoming to newcomers, and is predominantly not elitist or pretentious, contrary to general belief. The Reddit fountain pen group in particular has all the resources needed to guide novices, as well as genuinely helpful members (reddit.com/r/fountainpens). There’s little to no motivation to act as “gatekeepers” of the hobby. If anything, each one of us feels compelled to “indoctrinate” others and pass on this wholesome past-time. I encourage you to consider the means by which you write your words, whether it be via fountain pen or not. For me, fountain pens made and continue to make even the most tedious of tasks enjoyable. The joy of writing shouldn't be a necessary burden, but a gratifying experience. Don't continue to dread note taking, but strive to find one thing that changes your daily outlook. Why not make the most mundane of tasks fun in some small way or another?